Even if you have selected one school where you are sure you want to study abroad, you should still apply to other schools—it is possible that your “first choice” school may not accept you. At least one or two of your choices should be schools where you and your advisor are fairly certain you will be admitted. Remember that you are competing with prospective international students from all over the world for a limited number of spaces. Most schools in the USA encourage prospective international students to contact their admissions office at least one year before planning to enter that school. After you have selected the schools you want to attend, contact each school for an application form and more international student admission information. You can use the school advertisements throughout this magazine and StudyUSA.com as information resources to help you make your choice. On the website, you can contact schools directly to request information. If you wish to apply for a graduate (postgraduate) program you should verify the admission requirements with the specific graduate school within the university. Many graduate programs have higher admission standards and some programs require that you send your application directly to their department.You should be in good academic standing if you expect to be admitted to a graduate program. Contact either the admissions office of the graduate school or the chairperson of the department. Please mention that you learned about the school from Study in the USA®. The admissions office will review your marks earned during the last four years of secondary school. Your results from your country’s national secondary school examinations will also be reviewed. If you are applying to a graduate program, your marks from university or college will be taken into consideration. Students applying to universities and colleges in the USA must take certain examinations (SAT, ACT, GMAT, etc.) that measure aptitude and achievement. International students must also take a test that measures English language proficiency. These tests are given at test centers around the world. They are “standardized,” so that students take the same test at every test center. Your scores give the admissions office a uniform international standard for measuring your ability in comparison with other students. Your test scores are sent directly to the schools to which you are applying. You will be asked to indicate the names of these schools when you register to take certain tests, such as the SAT or ACT. In the case of computer-based tests, you will designate the schools at the exam site and the testing agencies will mail your scores directly to them. There will be a fee for scores that you request at a later date. Most universities require students to pay a deposit by a certain deadline in order to reserve a space in the entering class. For international students, this deposit can be as high as a semester’s or a full year’s tuition. You should send your deposit immediately if you are applying for financial aid or if you plan to live in university housing. Because many schools do not have enough campus housing for all the students, you will have a better chance of getting a room on campus if you send your housing application and room deposit fee as quickly as possible. You may also be required to provide a statement indicating how much money you will have available during the years you will be in school. If you have a scholarship or your government or company is sponsoring you, you will need to send details of your award. You may not be familiar with the American practice of writing a personal essay to submit with your university application. Here are some tips on how to write an awesome essay! Step 1: Think of a great topic. Your essay topic should have personal meaning for you. It should reveal something about who you are, your values or interests, and how you are different from any other applicant. Write something about yourself that cannot be reflected by your grades, the list of classes that you’ve taken, or in any other part of your application. There are several questions you can ask yourself that will help you think of ideas: (1) What are you like? (2) What have you done? (3) What are your goals? Step 2: Write your essay. Good writing takes time. Don’t rush or expect to finish your essay in one afternoon. Pay special attention to the introduction. Draw in the reader so that he or she is interested in finding what the rest of your essay will reveal. Use simple words to express your ideas; you don’t have to use complex vocabulary words to show how much English you know. Use the language to express yourself, not to prove how smart you are. If you make a statement, give an example to demonstrate your point. Step 3: Take your time and ask for help. Leave yourself enough time so that you can stop working on your essay for a few days—even a week—and then come back to it. This will allow you to read your essay with a fresh perspective. Also, have your friends and family read your essay—they will be able to see things you’ve missed or neglected to mention. Have fun, take your time, be yourself and tell your story well! Essay—Some schools require a personal essay on a topic of your choosing. See sidebar. 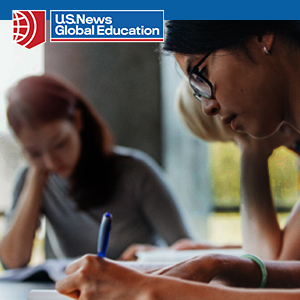 When preparing for any of the tests discussed in this article, students should keep in mind that good English language instruction is an essential foundation. Consider going through an intensive English program prior to your university studies. This will make your classes easier. Just like any field of study, English language proficiency can be achieved with continued study and practice. Take plenty of time to prepare for each test. Use available preparation materials to familiarize yourself with the test’s structure and guidelines. Instructions on taking computer- and paper-based tests are generally available for each exam. Use available sample questions and exercises. Examples of authentic questions and previously used topics are often available, as well as sample tests. Get as much practice as you can before taking the actual exam. Simulate the test situation. Find out as much as you can about the test environment, and practice in a similar setting. Allow yourself only the time allocated for the actual test. Practice working through sections as quickly and effectively as possible, identifying and focusing on areas where you need improvement. Take advantage of all the resources available to you. The more you know about a test and how it is scored, the more efficiently you can approach it. The Web is an excellent resource, and most online information is free. Make the most of the advice and materials that can help you achieve success. Follow directions. Read all the instructions thoroughly and completely before beginning any test. Make sure you understand your objectives and how to achieve them. Don’t worry if you don’t know an answer—concentrate on the current question, and do the best you can, but don’t spend too much time on any one item. Pace yourself so you have enough time to answer every question. Be relaxed and confident. Get plenty of rest before any exam. Remember, the more rested and better prepared you are, the more comfortable and positive you’ll be during the test. 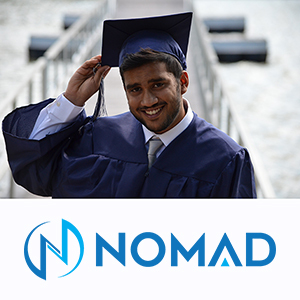 "Most schools require similar application materials from international students—the application, fee, official transcripts, a bank statement, and a copy of the student’s passport. Many schools also ask for essays from the applicant; it is important that students make these essays personal, and about themselves (not their accomplishments and or an elaborated CV). Have your essay proofread by a native English speaker." "An awesome life experience is waiting for you in the future. You will learn so much more than you think. Nothing is impossible, so go ahead and give it a try."